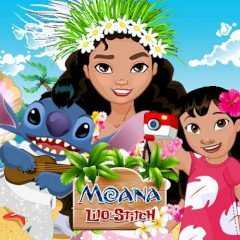 Can you imagine Moana, Lilo & Stitch at one place? They have met somewhere in the Pacific Ocean and they are going to celebrate this. Dress up for the party and have fun!